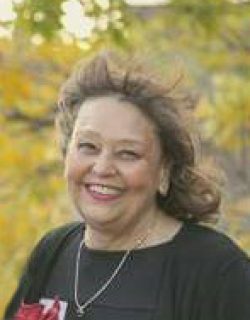 Beverly Gail Baldwin, 66, of Lima, passed away at 8:31 PM on December 2, 2018 at Lima Memorial Hospital. She was born on June 23, 1952 to Loy Hopper and Willie Pauline Hopper. On June 23, 1972 she married Terry Baldwin, who survives in Lima. Along with her husband and her mother, Beverly is survived by her children Jason (Maggie) Baldwin of Johnstown, Colorado and Jessica (Nasir) Khan of Washington D.C., as well as her brother, Mark Hopper of Columbia, South Carolina, her sister, Pat Stevens of Lima, and two grandsons. She was preceded in Death by her father Loy. The family will be handling matters privately at a later date. Arrangements have been made through CHILES-LAMAN FUNERAL & CREMATION SERVICES, LEWIS CHAPEL.